Available for 2019. Check out 433 Hamilton! 9-10 Bedroom too. Near the Nursing School, Medical Center and the Dental School. One plus block from the Rackham Building. Super close to the Bus to North Campus! 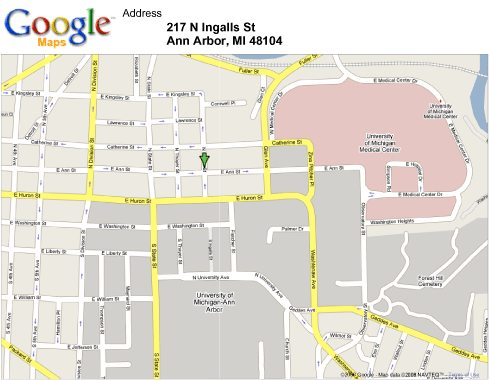 9 bedroom house – Ann Arbor house for rent with 3 1/2 baths and 3 kitchens. Basement – 1 huge bedroom, bath, laundry. 1st Floor – 3 bedrooms, kitchen living room, half bath. 2nd floor – 4 bedrooms, kitchen, full bath. 3rd floor – 1 bedroom apartment for 2 people, with kitchenette and bath. Not leased separately. 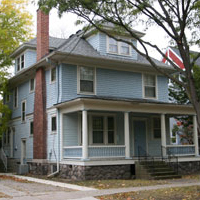 This Ann Arbor rental house for 10 people for fall 2019. Located near the Nursing School, north of Huron St. Occupancy 10, 9 bedrooms. Partially Furnished! The house has been painted inside and out side, new front steps and new gutters (like you care), but we do! This house is partially furnished with full and twin beds, computer desks, armories or dressers and living room furniture. All kitchens have a stove and refrigerator, and two dishwashers in the house. This is a three unit house but students rent it as a whole house. Utilities paid by tenants. The average cost per month per person (based on 10) for Electricity and Gas listed below. This information comes from DTE as of 9-25-2018. Have leaky faucets and toilets repaired by us for free.